Iyobinte Pusthakam malayalam movie directed by Amal Neerad will have Fahadh Faasil, Lal, Jayasurya, Isha Sherwani, Padmapriya and Reenu Mathews in lead roles. Lena, T G Ravi, Sreejith Ravi, Jinu Jose, Chemban Vinod, Vinayan, Saritha Kukku, Anil Murali, John Vijay will also give life to other prominent characters in the movie. The story and script are penned by Gopan Chidambaram and dialogues by Shyam Pushkaran. The movie is produced by Fahad and Amal Neeran under the banner Amal Neerad Productions. Amala Neerad who has given a different dimension in film making is ready to offer yet another visual treat for the movie lovers. Tilted 'Iyobinte Pusthakam', based on the 'Book of Job 'in the old testament of Bible is a periodic movie which deals with the socio-political issues during 1910-1970. The art department had taken much pain in bringing out a set which is of a century old. 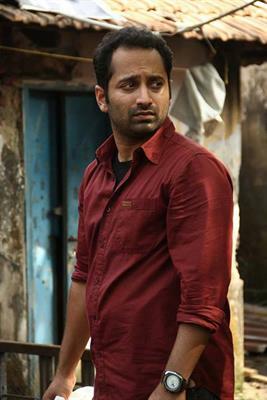 Fahadh Faasil, Lal, Jayasurya, Isha Sherwani, Padmapriya and Reenu Mathews in lead roles. Lena, T G Ravi, Sreejith Ravi, Jinu Jose, Chemban Vinod, Vinayan, Saritha Kukku, Anil Murali, John Vijay will also give life to other prominent characters in the movie. The actors have to give full dedication to their characters while following the mannerisms and presentation of dialogues. Padmapriya plays Rahela, a Christian girl. Amal Neerad known for his exceptional style of making stylish movies is expected to follow the same with his upcoming project too. Movie enthusiasts do keep much faith on this master craftsman who had already proved his mettle through his previous ventures like 'Sagar Elias Jacky', 'Big B' and 'Anwar' and 'Bachelor Party'. The story and script are penned by Gopan Chidambaram and dialogues by Shyam Pushkaran. 'Iyobinte Pusthakam' will be jointly produced by Fahad and Amal Neeran under the banner Amal Neerad Productions. With Munnar, Vagamon and Kuttikkanam as the main locations, the movie would reach theatres as an Onam treat. Fahadh Faasil who has much grown up regarding his acting career is much selective in choosing movies. Being a pet of the filmmakers, Fahadh is reported to have committed half a dozen projects to get completed in 2014. The best part of this movie would be the presence of a handful of youngsters who would keep the audience intact. His announced movies in 2014 include 'Vambathi', 'Cartoon', 'Shivaganga Cinema Factory' and Money Rathnam'.